Extended the Life of your Hydraulic Elevator System! 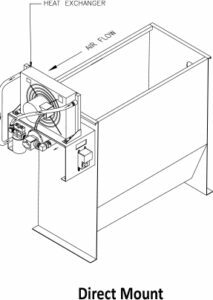 Avoid hot oil problems like nuisance shutdowns, leveling problem and oil odor by installing the MEI- AOC Oil Cooler. Twin jack holeless applications with two- or three-stage telescopic jacks. Heavily used single-stage twin jack holeless projects. Roped hydraulic applications with moderate usage and travel exceeding 25 feet. Any hydraulic elevator with high usage. 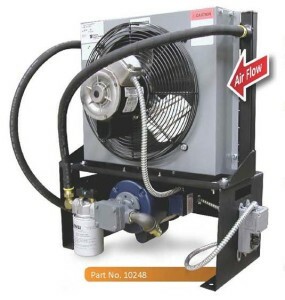 The Oil Cooler can be mounted to the power unit or located in a remote location. * When the oil temperature in the reservoir reaches a preset limit, it is circulated through the radiator. This process reduces the oil temperature by nearly 40°F, depending on site conditions. The oil is also filtered as it runs through the system, which results in enhanced performance and extended component life. The filter head has a sight gauge to indicate when the filter needs to be changed. 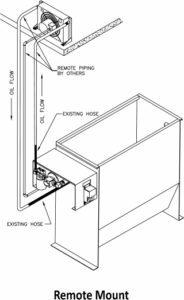 *Remote location must be within 110 feet horizontally or 55 feet vertically from the power unit. 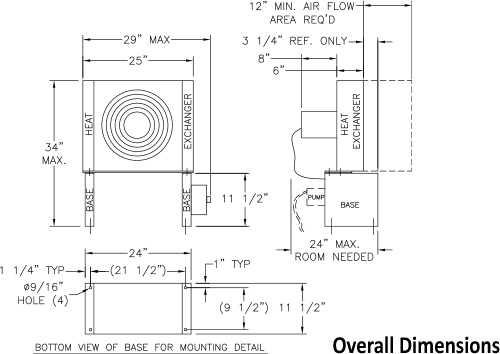 Piping, wiring, and conduit to remote location are not included.